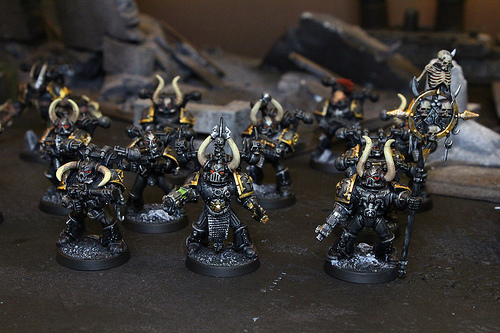 The Chaos Space Marines Minatures are some of the most powerful agents of the Powers of Chaos. 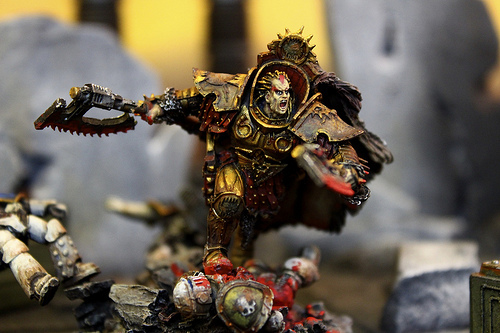 Chaos marines were defeated ten thousand years ago and forced into the Eye of Terror, which remains there home to this day. They have never forgotten there defeat in the Heresy and have waged war agains the Imperium ever since.